Sponsored by Hot Tools. All opinions are my own. If I have to describe my “go-to hairstyle for 2018”: it would be soft curls or waves. I definitely found my comfort zone...but I refuse to stay in it in this new year!! So my hair resolution for 2019 is to play with different hairstyles...it’s just as fun as fashion. I always say that your clothes should express your personality; but hey! your hair and makeup say just as much about you! Let’s not take ourselves that seriously in the beauty department! TIME TO HAVE FUN! As a new mom, I try to take advantage of every minute I have. Regularly, I wash my hair once/twice per week at night while Nico sleeps and let it air-dry as much as possible. However, when I’m in a hurry, I use HOT TOOLS Black Gold Turbo Ionic Salon Dryer ($119.99 at Ulta) . 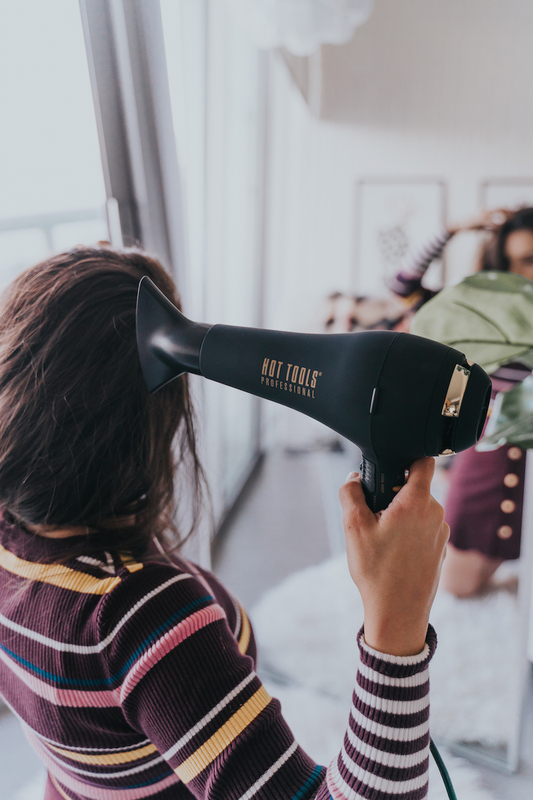 Because of the Direct ION Technology, it dries my hair super fast and it reduces frizz (which living in Miami, we all need to reduce frizz!..but more on that below). After my hair is dry, I regularly sit in front of the mirror with my lionesque hair and ask myself: am I in the mood of curly hair? straight hair? Like I mentioned, during 2019. I curled my hair once a week. I’ve found that my curls last longer when I use a flat iron. The HOT TOOLS Black Gold 1 1/4" Digital Salon Flat Iron ($119.99 at Ulta) has round edges to curl hair easily! So of course my first instinct was to go for my comfort zone...and I stepped back and I said NO: let’s make sleek straight hair fun with some little twists! - Use hair products in the shower catered for your hair type, texture, and color (if your hair is bleached or dyed). 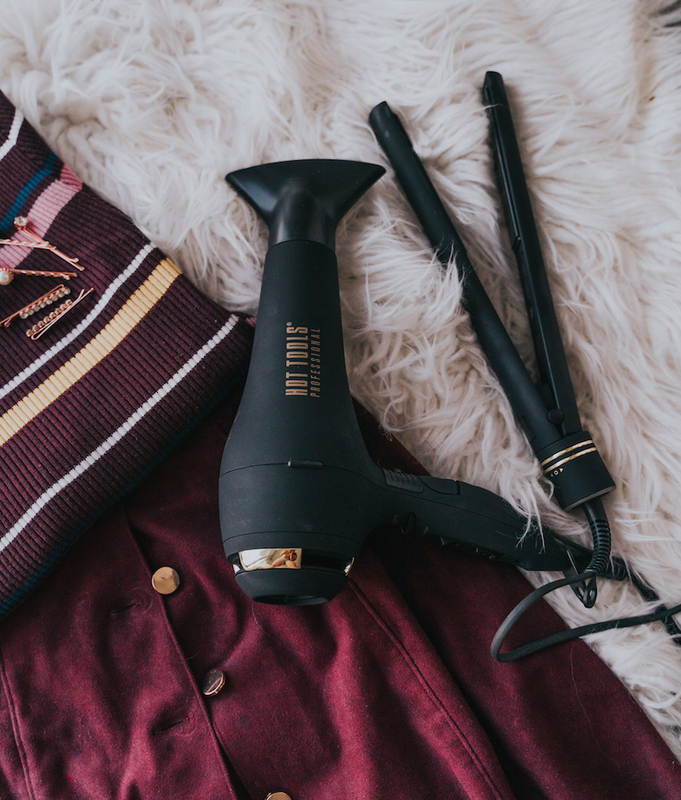 - I always forget to put a heat protectant, but it’s really important since we are always putting our hair in such high temperatures. - Just as we use high quality products, invest in high-quality hair tools. The Hot Tools Black Gold Collection. 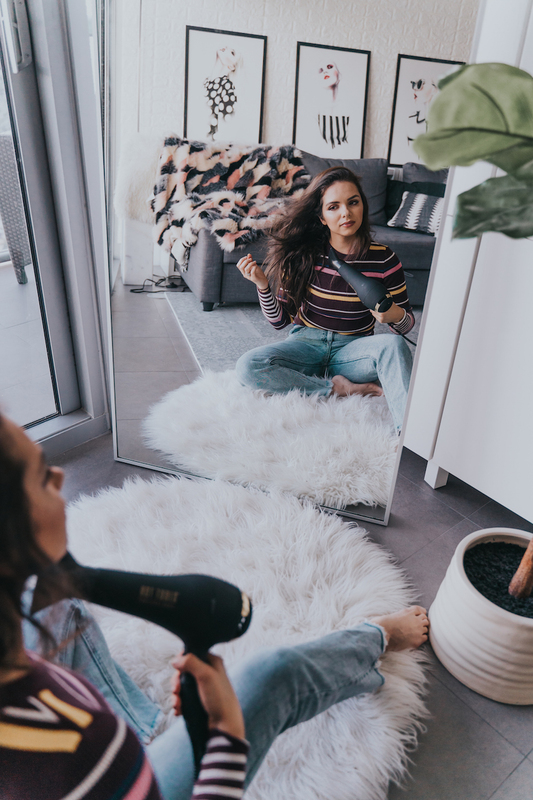 I love that the Ionic Salon Flat Iron has a Micro Shines Ceramic finish minimizes friction and reduces damage to your hair. 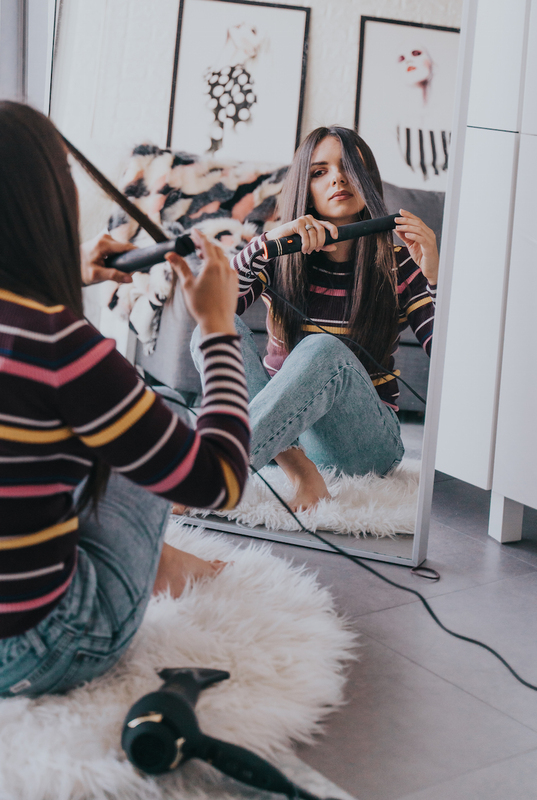 - When you are done curling or straightening, use your blow-dryer with the cool air setting in order to cool down your hair- that way it sets! If you go outside, and your hair is still hot: it can frizz or fall flat. - I also don’t like using hair spray after styling my hair: I feel it wets my hair and hence messes with what I just did to it! I’ve noticed my curls or straight hair lasts longer when I don’t apply any product to it. 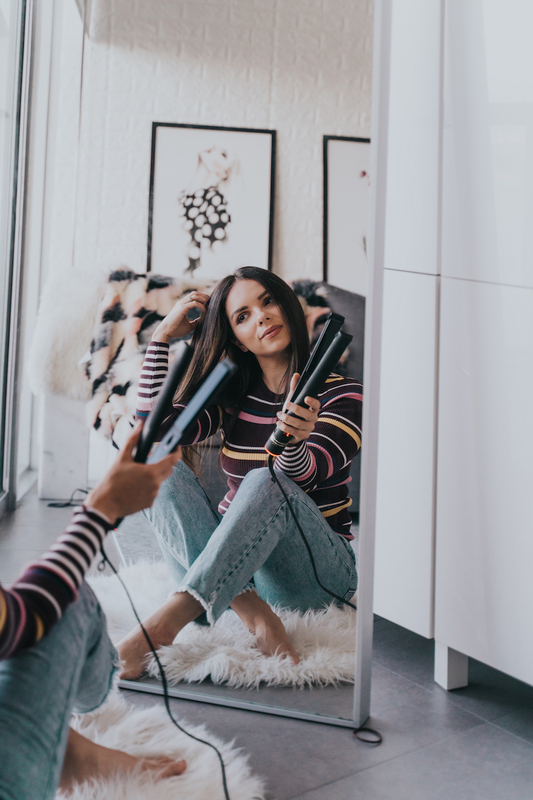 - For great sleek hair , I like dividing my hair in small sections in order to go over each section with the flat iron ONCE- instead of going over several times for a bigger piece (this decreases the damage since you go over it just one time). But straight sleek hair doesn’t have to be boring...at all! Let’s add some accessories!!!! I know there isn’t a big science behind this hairstyle but I’m loving this trend of embellished bobby pins or fun hair clips. It really adds a lot, and it takes 4 seconds!!! 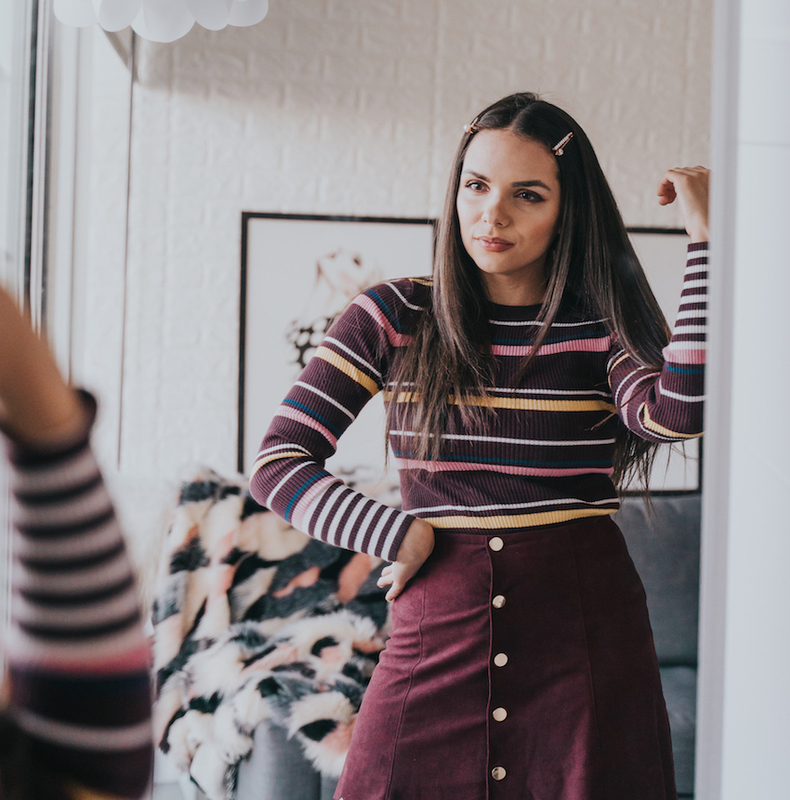 You can add them to a middle part hairstyle, a side part...add one or a few! Again, have fun with it! This little jasmine pig tails are so easy to do! 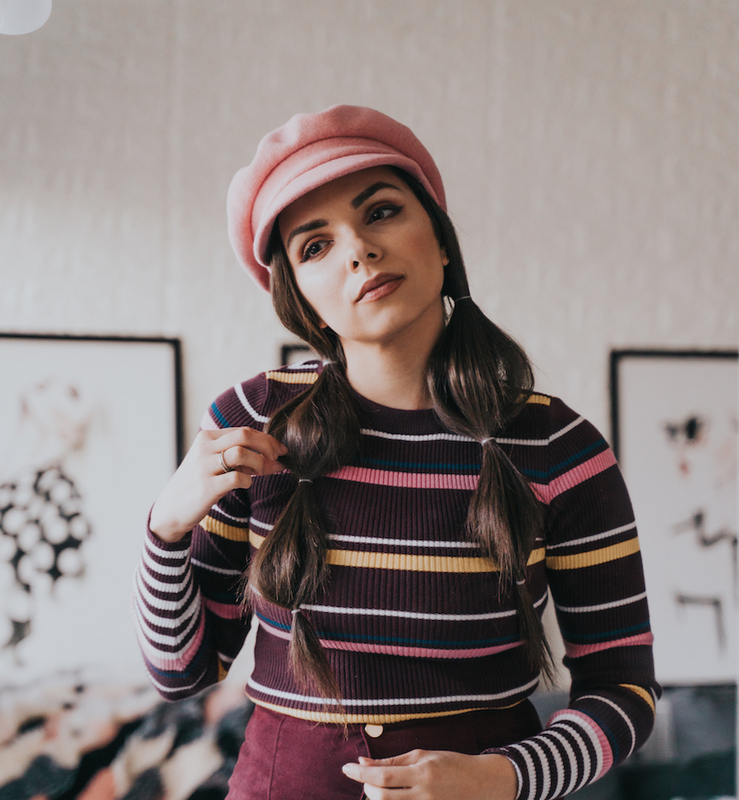 All you need is 6 clear elastic bands + hat and a beret. - Do two pig tails. Secure with a clear elastic band. - Secure two more elastic bands at lower on each pig tail and start opening the pig tail to create volume. You can tease for added volume but I didn’t want to mess with my sleek hair. - Secure another two elastic bands on each side and repeat the process. - Add a hat or a beret and you are ready to go! Hold me accountable if I don’t start playing with my hair more! Thanks for taking the time to discuss that, I really feel strongly about it and love learning more on that topic. If you want more news just log on viral Nexter web site this blog. Straight hair isn't boring at all. It's easier to keep. Nice tips!